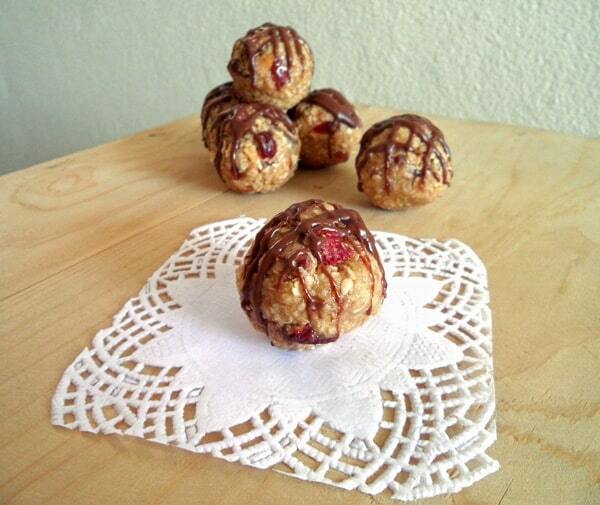 These No Bake Peanut Butter Oatmeal Balls with red berries contain peanut butter, coconut oil and are sweetened with honey. Plus a chocolate drizzle on top. Almost like a peanut butter oatmeal cookie, just without baking! Since leaving the lovely house we had rented for 1 month on Bali we have done quite a bit of traveling around with lots of short-term stays. Now, for the first time in 4 months, we have rented a monthly apartment again. However, don’t get too excited too soon. 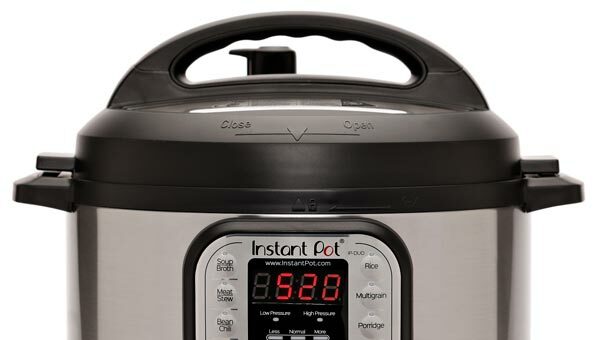 It does not have an oven. However, having our own dedicated place for at least a month makes me want to get creative right away. 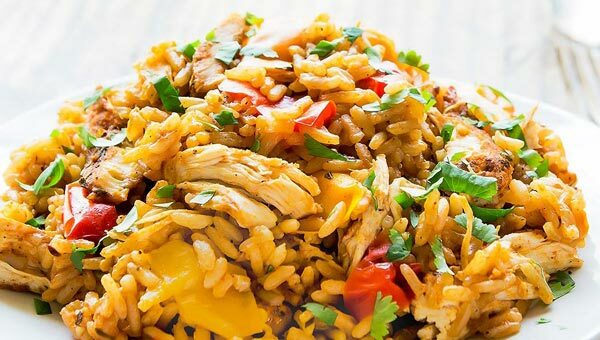 I Love Preparing These Delicious Bites! I already have a couple of neat ideas and Google or Pinterest are also always a great source of inspiration 😉 So I hope you are ready for a few no-bake recipes in the next little while. 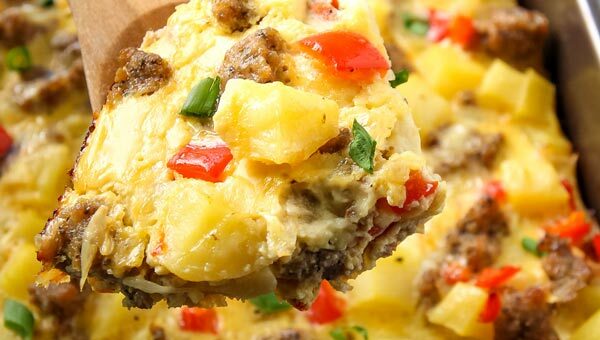 Maybe you even have a no-bake recipe you’d like to share with me? These bites in particular are perfect, if you feel like an oatmeal cookie but don’t want to (or can’t – like me) turn on the oven. 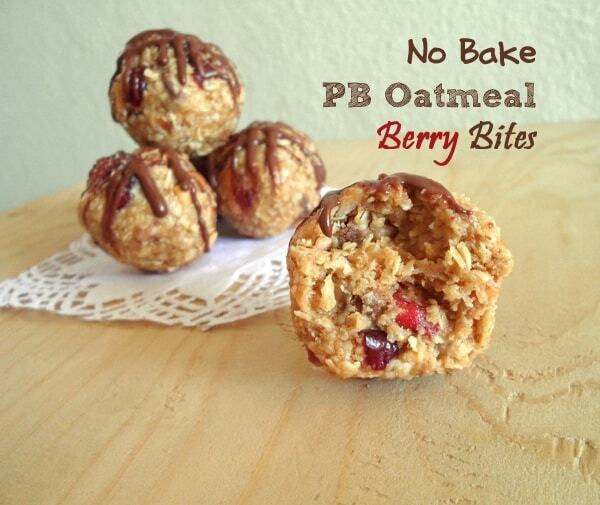 They are even gluten-free if using non-contaminated oats. Hearty oats are combined with peanut butter, virgin coconut oil and sweetened with honey. 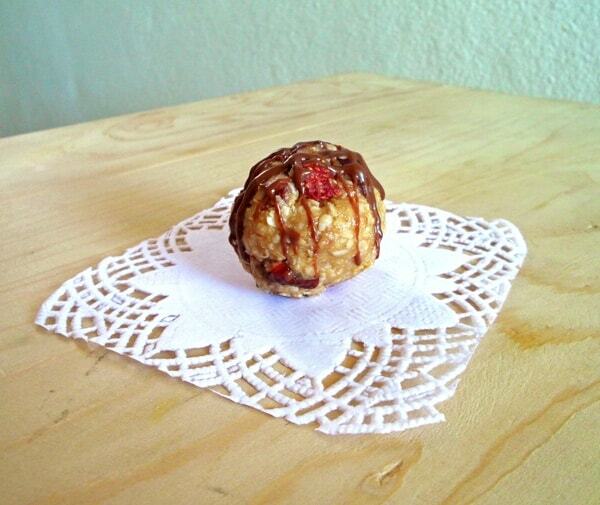 I used natural, crunchy peanut butter but you can also use commercial, creamy or even homemade. When using the more oily and more liquid homemade version, reduce the amount by 1 tablespoon at first or reduce the coconut oil by one tablespoon. If after combining everything the mixture still seems a little dry, you can always add a tablespoon of PB or coconut oil. Coconut Oil and Valentine’s Day! Here in Thailand, our coconut oil is always in liquid form at room temperature. And it is filled in a bottle (not a big opening that I can scoop out of) so I don’t think it is supposed to be kept in the fridge to solidify. Depending on your climate and where you store your coconut oil, you might have to melt it. Then, I somehow remembered that Valentine’s Day is coming up soon and thought the addition of dried red berries would almost make this a seasonal treat. In the end I realized though that the red color is not very prominent, so it probably doesn’t quite qualify for Valentine’s Day. Maybe you could use pink or red candy melts for the chocolate drizzle on top to up the romance factor. But we don’t have those here, so plain milk chocolate had to suffice for me. I also put together a little recipe video how I made these scrumptious bites. It was my first attempt at recording myself “in-action” so I hope you can cut me some slack (and overlook the fact that I don’t use measuring spoons or cups just make do with what I have on hand). Start by coarsely chopping the berries. 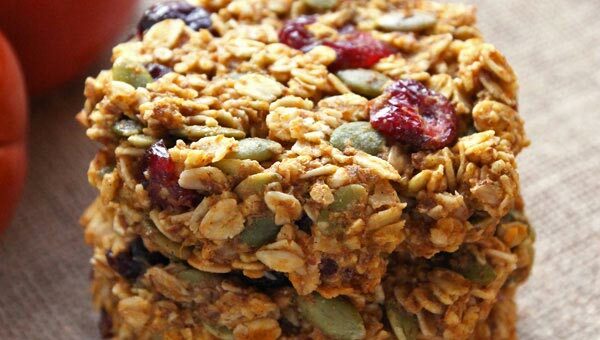 Place berries and oats in a bowl. Add peanut butter, honey and liquid coconut oil (here in Thailand it is liquid at room temperature but you might have to melt it). Stir everything together. You can use a spoon but by hand it is much easier. Once everything is nicely combined chill mixture in the fridge for 1/2 hour or 10 in the freezer box. Shape chilled mixture into round bites of about 1" diameter. Recipe yields about 12 bites. Place the oatmeal bites back in the fridge. In the meantime chop or break the chocolate into small pieces (only if using a chocolate bar) and melt in the microwave or a water bath. Drizzle melted chocolate over chilled bites. 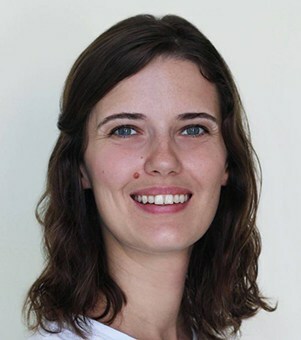 Here in Thailand I have to keep the bites in the fridge, but if you live in a cooler climate they might be just fine at room temperature. By the way, did you know it is National Peanut Butter Day in the US today? 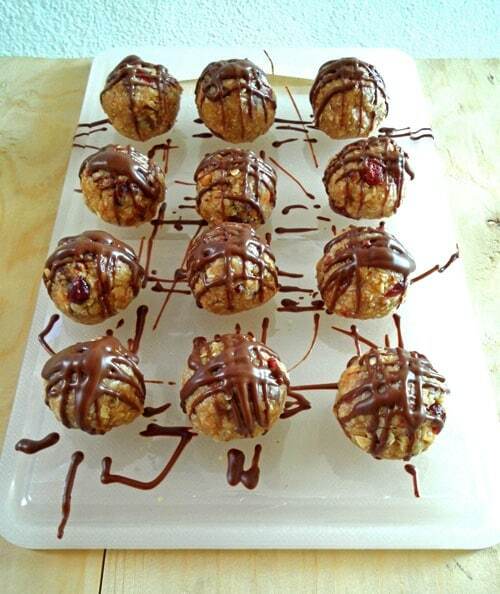 Aside from these PB Oatmeal Bites maybe you are interested in some other peanut butter recipes? 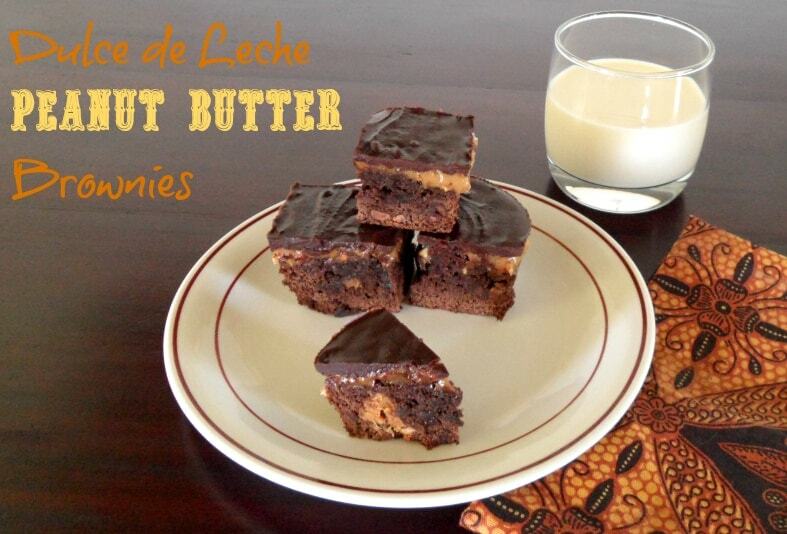 Maybe some brownies with peanut butter and dulce de leche filling. 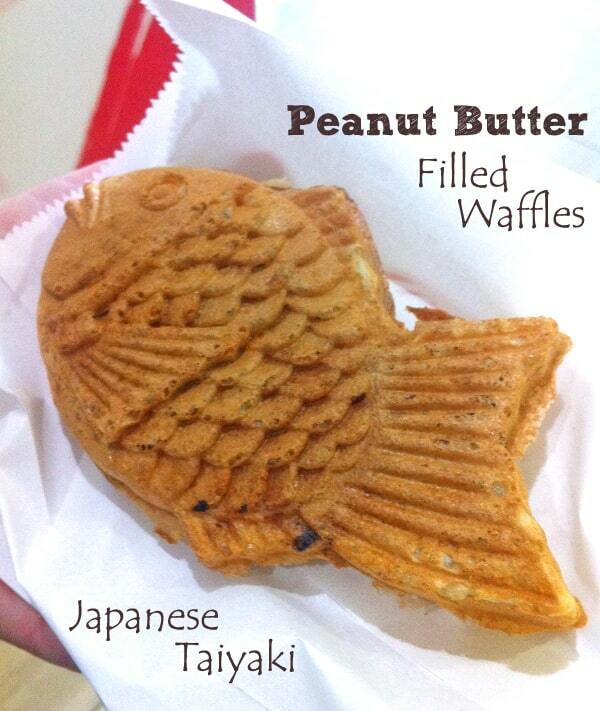 Or waffles filled with peanut butter – they don’t have to be fish shaped. 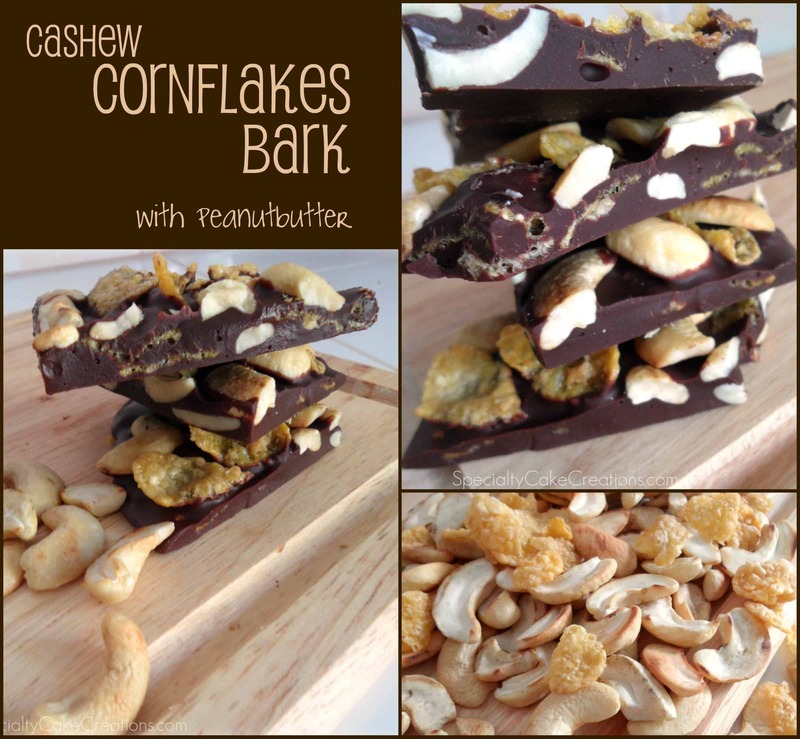 This cashew nut and cornflakes chocolate bark is also flavored with peanut butter. 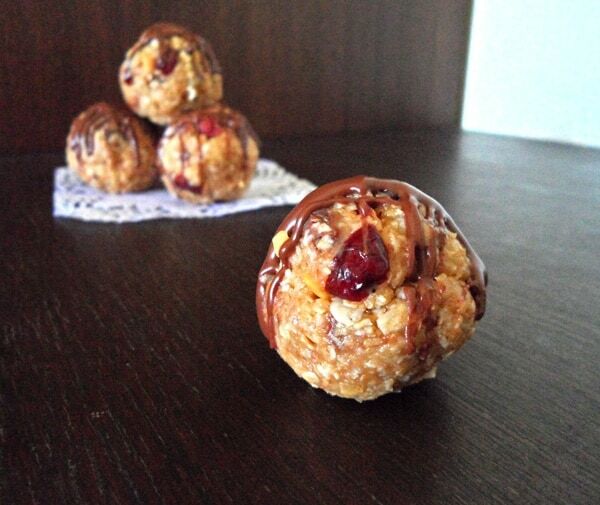 But without the berries these are peanut butter chocolate balls and those I do love! You can’t be a fan of PB and jam sandwiches then, at least not berry jams? Is there a substitute for the coconut oil in these? I am allergic to coconut and other than the oil, these sound delicious. Hey Cali, I used the coconut oil because its a healthy fat and I like the subtle flavor it gives. I suppose melted butter or another oil with a flavor you like could be used but if I had to leave out the coconut oil, I would just use a little more peanut butter and/or a little more honey to make all ingredients stick. Yummy! I think I just found what I want to make today. Thanks for sharing on Thursdays Treasures. New follower from Sally’s Baking Addiction!! 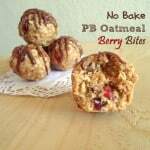 Just wanted to stop by and say that I look forward to catching up on your posts and I love the recipe for the no-bake pb oatmeal berry bites!! I will have to try it out soon! Love that you used coconut oil in these! And oats and PB! My faves! I just made something tonite that won’t hit my blog for awhile and I didn’t use coconut oil in them, but now…seeing these…wish I had. PERFECT! And love the berries. And the perfect chocolate swirls! Mmmmmmm!! Those would be great in the summer when it’s just too hot to turn on an oven, but I’m sure I can find an excuse to enjoy them in the winter, as well. ;). I thought your video is great! Look forward to your future no-bake treats!! Yes, hot summer days are indeed perfect for no-bake goodies. Thank you for your kind words on the video. I love these, so simple and perfect!!! Thanks so much Aimee! It’s definitely a quick and easy treat to make. peanut butter and dried fruit and oatmeal and chocolate. AND no bake. I htink you just made my perfect snack ever. 🙂 These look incredible!